Luna di Miele (translation Honeymoon) was inspired by a visit to the Chianti Region of Tuscany, Italy. 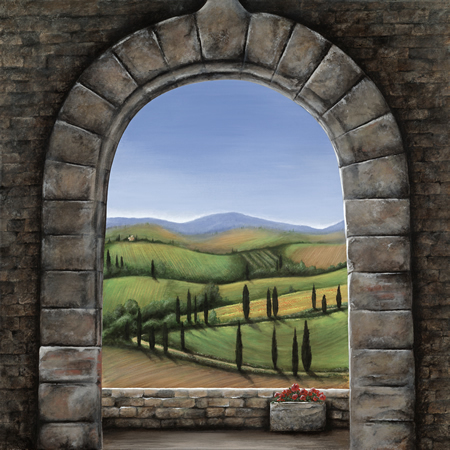 Michael and his wife, Nancy, spent part of their Honeymoon at a Tuscan Villa, where this old stone arch was located. Luna di Miele is being offered as a giclée on canvas print, with a limited production of 75 signed and numbered pieces. The canvas measures 30" x 30"